Viewable Area: 29.29" x 39.29"
Packing Size: 55.91" x 35.43" x 2.95"
Easy to open snap frame includes the anti-reflex cover as suitable for external use, equipped with water wick. Can be used as double sided. Steel springs provide flexibility to keep it stable. The wheels help movement of the unit. Wheel, on ground in upside position help easy move of the product. 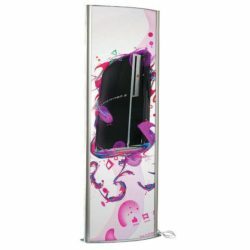 Suitable for rainy & windy conditions, protects the poster within. Round corner serve for the safety on pavement use. Each base comes with industrial salt to prevent freezing in winter conditions. 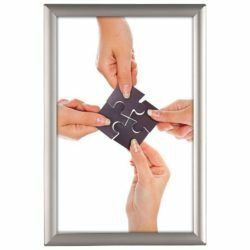 Each product comes unassembled with easy instruction sheet & fixing set. Heavy base provide stability. Base standard metalic gray color. For high traffic locations how do you make these people realize you and your brand? 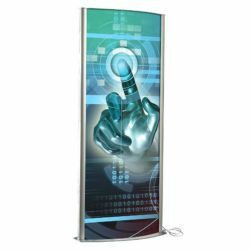 Displays Market offers you a stunning outdoor signage for graphics of 30″w x 40″h . 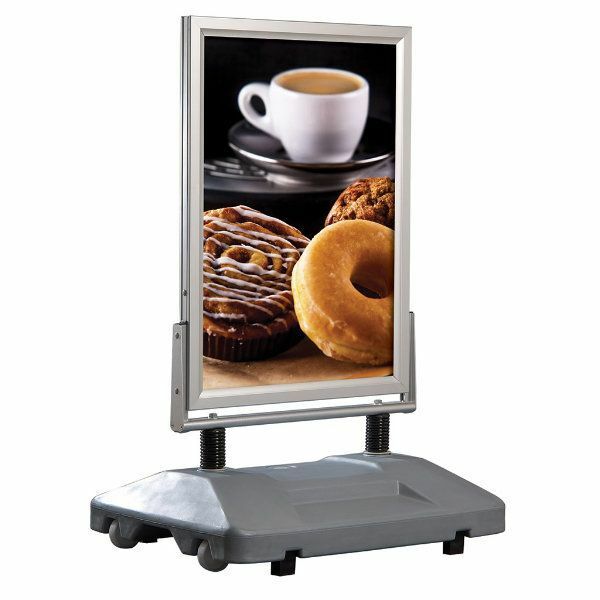 These double-sided business signs also have snap-open edges for easy graphics updates. 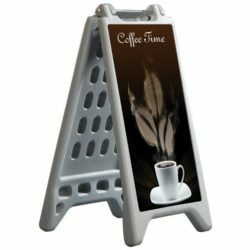 So you can change your graphic easily, any time.These gray outdoor signage holders also have non-glare lenses to cover and protect the inserted posters. After the closure of the side profiles, the rubber seal inside the frame and oversize anti-glare overlay film prevents water to leak inside, the sign is weatherproof. 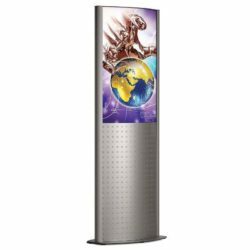 This sort of outdoor signs consist of 2 main articles; the aluminum poster frame and the base which supports the legs of the product. The spring connectors stabilize the position of the poster and prevents it from toppling. The steel springs provide flexibikity in wind to ensure stability.The base can be filled with water or sand to make it even more stable. It is sometimes difficult to move sturdy pavement boards , however you can easily carry this outdoor signage elsewhere easily with its built-in handles and wheels. each base is supplied with industrial salt foroutdoor use with water. A practical and attractive way to express your message, isn’t it? To save trannsportation costs, the display comes unassambled with an easy assembly sheet & fixing set.